By J.P. Holding| Tacitus was a Roman historian writing early in the 2nd century A.D. His Annals provide us with a single reference to Jesus of considerable value. Rather frustratingly, much of his work has been lost, including a work which covers the years 29-32, where the trial of Jesus would have been had he recorded it [Meie.MarJ, 89]. But not all the relief that could come from man, not all the Bounties that the prince could bestow, nor all the atonements Which could be presented to the gods, availed to relieve Nero From the infamy of being believed to have ordered the Conflagration, the fire of Rome. Hence to suppress the rumor, he Falsely charged with the guilt, and punished Christians, who were Hated for their enormities. but the pernicious superstition, repressed for a time Broke out again, not only through Judea, where the mischief Originated, but through the city of Rome also, where all things Hideous and shameful from every part of the world find their Center and become popular. Accordingly, an arrest was first Made of all who pleaded guilty; then, upon their information, an Immense multitude was convicted, not so much of the crime of Firing the city, as of hatred against mankind. A survey of the literature indicates that this citation by Tacitus has not been given enough regard, having often been overshadowed by the citations in Josephus. Respected Christian scholar R. T. France, for example, does not believe that the Tacitus passage provides sufficient independent testimony for the existence of Jesus [Franc.EvJ, 23] and agrees with G. A. Wells that the citation is of little value. It is unfortunate that France so readily agreed with Wells’ assessment. An investigation into the methods and background of Tacitus, as reported by Tacitean scholars (whose works, incidentally, France does not consult), tells us that this is an extremely reliable reference to Jesus and for early Christianity. Is this a genuine reference? Very few would assert that this passage is a forgery [though see Cutn.JGMM, 111-2], for the evidence is strongly in favor of the genuineness of this passage. The passage is in perfect Tacitean style; it appears in every known copy of the Annals (although there are very few copies of it, and none dates earlier than the 11th century), and the anti-Christian tone is so strong that it is extremely unlikely that a Christian could have written it. Indeed, the Tacitean polemic against Christianity is so strong that it was one of two things Tacitus was condemned for in the sixteenth century – the other being that he wrote in bad Latin [Dor.Tac, 149], and it is even said that Spinoza liked Tacitus because of his anti-Jewish and anti-Christian bias [Momig.CFou, 126]. This is not to say that there are not those whom we may encounter who will suggest that this passage is an interpolation. Some will suggest that because no church father quotes the passage early in church history, it must have been added later. No church father, however, would have willingly quoted such a negative reference to Jesus and the Christians; moreover, indications are that Tacitus wrote for a very limited audience of his peers. 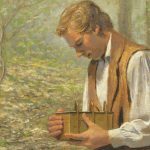 The Annals may not have gotten into the Church’s hands at an early date. So, the idea that this passage is an interpolation is no more credible than the idea held in the 19th century that Tacitus’ entire works are fifteenth-century forgeries. Is Tacitus a reliable source? The answer here is: Absolutely! The Tacitean literature is full of praise for the accuracy, care, critical capability, and trustworthiness of the work of Tacitus, and it is singularly unfortunate that many writers in this subject area have failed to appreciate this! Grant [Gran.Grec, 40-3; see also Gran.Tac, 18], while charging Tacitus with bias, error, and “unfair selectivity” in various areas (especially associated with the Emperor Tiberius), nevertheless agrees that Tacitus “was careful to contrast what had been handed down orally with the literary tradition.” Elsewhere he notes that “There is no doubt that (Tacitus) took a great deal of care in selecting his material” [ibid., 20]. Wellesley [Dor.Tac, 65-6] remarks that investigation “very seldom shows (Tacitus) to be false to fact” and that archaeology has shown that “only once or twice is Tacitus found guilty of a small slip.”He adds: “When the sources differ and the truth is hard to decipher, (Tacitus) takes refuge in ambiguous language or the balance of alternative and sometimes spiteful variants,” rather than doing original research to determine which option is the truth. We may note that there is no such ambiguous language in the Christus cite. Finally, Momigliano [Momig.CFou, 111-2], while pointing out that Tacitus was of course “not a researcher in the modern sense,” nevertheless says that he was “a writer whose reliability cannot be seriously questioned.” He cites only one possible major error by Tacitus, but puts it down to him relying on a trusted predecessor rather than official records. We therefore conclude that there is every reason to trust Tacitus as reliable. Did Tacitus borrow his information from Christians or Pliny? That Tacitus got his information from Christians is shown unlikely by the negative tone of the reference. That Tacitus got his information on Jesus, or some of it, from Pliny originally is quite possible:The two men were close friends. Tacitius sent his works to Pliny for criticism, and “he himself begged for the product of Pliny’s pen” [Mende.Tac, 15]. Tacitus also “turned to Pliny for first-hand material for his Histories” [ibid., 21], so he was not hesitant to use Pliny as a source. However, this does not mean that Tacitus accepted Pliny’s information on Jesus, or on any topic, uncritically. Annals 15.53 indicates that Tacitus did collect some information from Pliny – and that he disputed it, and even considered it wholly absurd. Simply because Pliny was Tacitus’ friend and confidant does not mean that he believed everything that Pliny told him. “The sum total of the picture is clear. For the main narrative, Tacitius assumes the responsibility of the historian to get at the truth and present it. His guarantee was his own reputation. To make this narrative colorful and dramatic, he felt justified in introducing facts and motives which he might refute on logical grounds or leave uncontested but for which he did not personally vouch. There is no indication that he followed blindly the account of any predecessor” [ibid., 203-4]. Mendell also notes that Tacitus was concerned for maintaining his integrity as a historian. In the Annals, the work with the paragraph on Jesus, Mendell cites 30 instances where Tacitus uses specific phrases “to substantiate a statement or to present a statement for which he does not care to vouch” [ibid., 205]. 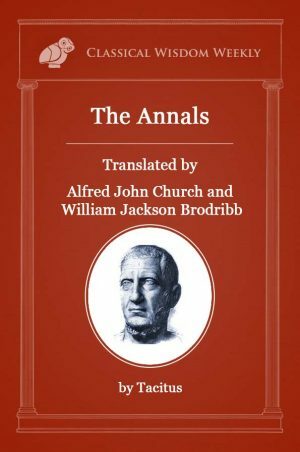 Mendell also notes that “In Books 11-16 of the Annals (the Jesus cite is in 15) Tacitus “concerns himself with the evidence and source references to a greater extent than in the earlier books.” He relies on other historians, a bronze inscription (11.14), reports or memoirs (15.16), personal testimonies (15.73), and physical evidence (15.42). There are indications of searches for first-hand (15.41) and written (12.67, 13.17) evidence [Mende.Tac, 207]. Thus, the cite on Jesus comes in the middle of one of Tacitus’ most carefully-documented works. 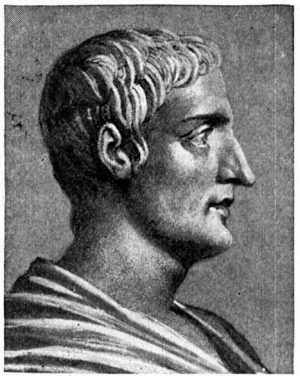 In reporting a conspiracy of Piso to assassinate Nero, Tacitus acknowledges the difficulty of accurate knowledge of such conspiracies, indicates where his knowledge is uncertain, and does not use even one of Pliny’s quotes as positive evidence because he considers it to be “wholly absurd” (15.53) [ibid., 209]. 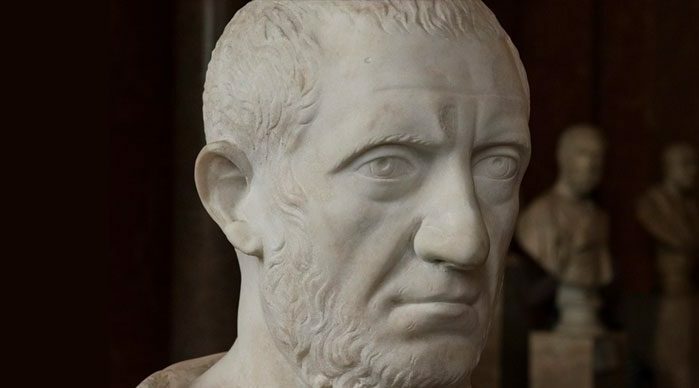 In short, Tacitus was a very careful historian – he would certainly not trust a source that he held in such disdain as he did Christians, and he would carefully check material that came to him, even from his friends. 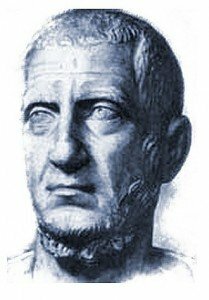 Finally, let us add that there was no need for Tacitus to get his information from Pliny – he had plenty of Christians in his own province of Asia where he was governor, if not more Christians than Pliny, and he was probably aware of Trajan’s edict concerning Christians, which we will discuss below. Tacitus had no motive to investigate his information on Christ. He may have accepted information from Christians uncritically. 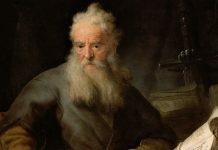 Moreover, we have clear evidence that Tacitus would not simply repeat what he was told by people whom he disliked: When reporting on the history and beliefs of the Jews, whom he despised as much as the Christians, it seems fairly obvious from the disparaging descriptions given that Tacitus was not inclined to consult the Jews’ “own view” or even “Jewish informants.” Certainly no Jew told Tacitus the horrible things he suggested about the origins of Judaism. First, a likely cause for investigation erupted right in Tacitus’ backyard, so to speak, in Rome c. 95 A.D. Emperor Domitian’s niece Domitilla, and her husband Flavius Clemens, were accused of “atheism,” related to “being carried away into Jewish customs.” Judaism of course was a recognized religion, so it is quite likely that the “Jewish custom” referred to is Christianity [Benk.PagRo, 15-16]. Here, then, was a perfect motive for Tacitus to investigate the movement historically. Some of Rome’s highest-placed people seem to have joined the movement. Second, Tacitus seems to have had an interest in “pretenders,” notably those who claimed to have been risen from the dead. Bowersock [Luc.TacT, 5] notes that Tacitus offers an “exceptionally detailed account” of “an adventurer who claimed to be a resurrected Nero,” and also offered two other similar stories. In light of this, Tacitus would probably have shown a rather strong interest in claims of some kind of “pretender” being raised from the dead, as was the case with Jesus. (As an added note, considering the trouble that Tacitus records was gone to in order to unmask these “pretenders,” a persuasive case can be made for Roman investigation into the claims of Christianity. The fact that Tacitus does not report any sort of “debunking” of Christus is even more significant). As an aside, note that Bowersock clearly uses “resurrected” here figuratively, not as a reference to Jewish resurrection. Tacitus indicates that the rumor was that Nero was “still alive,” that is, had not actually died at all. Benko [Benk.PagRo, 16] summarizes by noting that Tacitus “was too good a historian not to look into the origin of the cult” once he had reason to look into it, and that reason is provided either by Domitilla (as Benko suggests), by Tacitus’ special interest in “pretenders” or by the accusations of Nero concerning the fire. Tacitus would check his sources carefully, and this makes his reference to Jesus all the more credible and valuable. Tacitus could have gotten his information from the work of historians whom he trusted, and whose work is now lost to us. One helpful reader noted that just prior to this passage, in 15.38, Tacitus refers to “authors (who) have given both accounts” in terms of whether the fire of Rome was accidental or not, and it is far from out of the question that one of these authors discussed the Christians and their role. His information may also have come from common knowledge. Suggestions have also been made that Tacitus got his information from Josephus, but this is rejected by Tacitean scholars: Mendell, for example, says that Tacitus “clearly knew nothing” about Josephus [Mende.Tac, 217 – see also Hada.FJos, 223]. Wells and others object that it is unlikely that Tacitus accessed official documents or had access to the imperial archives. Evangelical scholar Murray Harris writes that these records “were secret so that even the senate needed special permission to consult them (Tacitus, Hist. 4.40)” [Harr.GosP5, 352]. Does this thereby eliminate the possibility that Tacitus found out his information through this important source? Both facets of this objection can be answered simultaneously. The imperial archives were indeed jealously guarded: In the cite noted by Harris from Tacitus’ Histories, the Senate asks the Emperor Domitian for permission to consult the imperial archives – and Tacitus indicates that permission was granted. But what of Tacitus himself? Nothing from Tacitus’ own works tell us anything about whether Tacitus himself needed special permission to consult the imperial archives. He does not tell us how difficult it was to get permission, or that he himself received (or did not receive) such permission, or how often he did get or needed to get access. Tacitus was well-respected, a man who “won renown quickly,” and “seemed of all the eminent men then active the most worthy of imitation.” His reputation was such that in a letter of recommendation for a particular young man, Pliny indicates that being a friend of Tacitus is considered to be a sign of high quality.He won great fame as an orator, and progressed rapidly through the offices of Rome, ending up as proconsul of Asia, which was considered a “prestigious” office to hold, one of two “jewels in the administrative cursus under senatorial control” (the other being Africa). He was made a member of a body of priests “who had charge of the Sibylline books and many of the special festivals of the Roman state,” at a time when this priestly body was “of the utmost importance.” He reached the consulship, “Rome’s highest office,” in 97 A.D. – possibly having been nominated by Domitian prior to the latter’s assassination. His personal contacts were impressive as well: He married a daughter of Julius Agricola, the governor of Britain, whose biography he also wrote, and would have had to have had “the acquaintance of some of the foremost men of the state” for Agricola to have noticed him.Agricola himself was highly favored, having held office in Britain longer than any other governor there in spite of competition, possibly because of his extensive military success there. Tacitus may have advanced in part because of the influence of his father-in-law. So, it is safe to say that if anyone had access to the imperial archives, or would easily be able to get permission to see them, Tacitus had all the credentials to suspect that he would be able to do so! But beyond that, we may ask about the second facet of this objection: Is there any actual evidence that Tacitus consulted original documents generally, and governmental records specifically? “Speeches of the emperor are discussed also in (Annals) 1.81, obviously as accessible. Of letters sent to Tiberius and of others attacking Nero and Agrippina he speaks (5.16 and 5.3) as though they might still be consulted. This is certainly true of the one to Tiberius” [Mende.Tac, 204]. In Annals 15.74, Tacitus cites the records of the Roman Senate from Nero’s time [ibid., 21] and cites Senate records elsewhere (5.4) [ibid., 212]. The Acta Senatus included letters from emperors, governors of provinces (like Pilate! ), allies, and client kings. Tacitus also probably made use of Rome’s public libraries [Dud.Tac, 28]. Tacitus also consulted the Acta Diurna, a daily public gazette (3.3, 12,24, 13.31, 16.22), and private journals and memoirs, which presumably “were preserved in large numbers, especially in the older aristocratic families” [Mende.Tac, 212]. Syme [Sym.Tac, 278] writes: “The straight path of inquiry leads to the archives of the Senate…the first hexad of Annales (which is not where the Jesus passage is) contains an abundance of information patently deriving from the official protocol, and only there to be discovered.”Regarding an incident in Africa: “That Tacitus consulted the Senate archives is proved by the character of the material, by its distribution…” (ibid., 281). Relative to Book 4 of Tacitus’ Historiae: “required constant access to the register of the Senate” (ibid.). Momigliano [Momig.CFou, 110-1] asserts that Tacitus made wide use of Senate records for the period of Domitian, and lesser use of them for the time from Tiberius to Titus; for that era, Momigliano tells us, Tacitus probably used the works of Senate historians more often. So, Wells is obviously not in agreement with Tacitean scholars on the matter of Tacitus’ consultation of written documents, and thus, it is worthwhile to ask where exactly does he get his information! His source, it turns out, is a scholar named Fabia [Well.JEaC, 187]. Syme notes further [Sym.Tac, 282] that the arguments of Fabia and those who agreed with him are based mostly on a single passage in Tacitus where he says that he was not able to give some information that should have been in the Acta Diurna. Hence, it was assumed by Fabia that he had no access to it. Syme points out that Tacitus gives an explanation for not being able to get the information, and “he deserves to be taken at his word.” Wells has relied upon a badly outdated and highly incorrect source for his argument. It is salient to point out here again something that cannot be emphasized enough: This type of mistake is committed only by people working outside their field, as Wells is. Tacitean scholars have the breadth of judgment and background to know that Fabia is bogus; that Wells uses him as reliable source indicates Wells’ radical unfamiliarity with the scholarship in Tacitean studies. Again, this cannot be overemphasized – the mark of a novice is their uncritical use of sources and methods within a discipline. Genuine scholars, with training and background in a specialty, know how to use sources critically and keep the arguments and evidence in perspective. Was Tacitus biased? Did he manipulate the data he received? 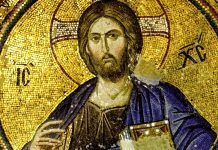 We note, of course, that all recorded history is biased and manipulated history, and we also note that there is no indication of any bias in the Jesus passage. Nevertheless, we consider it wise to explore this avenue. It shall be our aim to show that Tacitus’ bias does not affect the reliability of the Jesus passage, nor indeed his reliability generally. Regarding Jews and Christians, Tacitus’ bias was so great that he “accepted a hodge-podge of truth and falsehood with little critical analysis,” including anti-Semitic cliches and a blending of Jewish beliefs (ibid., 38). He adds that in spite of Tacitus’ bias, “there is no evidence that he invented or suppressed the facts.” He did not “change his details” to fit his reconstruction of the past, but rather engaged in selective interpretation – as indeed do all historical writers. having been confirmed by archaeology, epigraphical evidence, and other authors. In other words, even when Tacitus was expressing bias, his inner scruples were such that he still would not report an inaccuracy. If we throw out the Jesus reference on this basis, we must also throw out much else of what Tacitus has written, along with the works of all other Roman historians. Our conclusions, then, are as follows: Tacitus’ bias in general, and his bias against Eastern religions like Christianity particularly, is of the opposite sort that would be required to devalue the reference to Jesus. 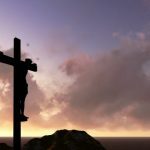 Again, when reporting on the history and beliefs of the Jews, Tacitus’ bias led him to say things that were disparaging, which means that out of contempt for Christianity, he would have reported any rumor or indication that Jesus was a fiction, or had not really been sentenced to death. As it is, we have not even that much. Tacitus’ bias did not allow him to descend into wholesale fabrication. Even if it had, however, his biases would have led him not to acknowledge Jesus’ existence but to deny it. Or, at the very, least denigrate Jesus’ importance. But this is not what we find in the Jesus passage in Annals. Is Tacitus in error because he refers to Pilate as a “procurator”, when in reality Pilate was a prefect? Does this make Tacitus unreliable? Evidence indicates that there was a certain fluidity in the usage of these terms. Tacitus may have been anachronizing on purpose. We should first consider the difference between these two titles. A procurator, as the word implies, was a financial administrator who acted as the emperor’s personal agent. A prefect was a military official. All of the above, therefore – along with the fact that this is not cited by Tactiean scholars as a problem – shows that there is certainly no grounds for charging Tacitus with error or degrading the reference to Jesus because of the alleged procurator/prefect mixup. Tacitus refers to Jesus as “Christ” and not by a proper name. Does this mean he didn’t consult official records? Wells also offers this objection [Well.HistEv, 16-17]. Like the above objection, however, it is not considered at all problematic by any Tacitean or other historian. 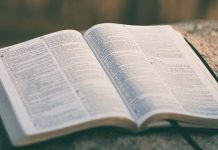 Rather than find some deficiency in Tacitus because of this, it is more plausible to recognize that Tacitus would use the name with which his readers would be most familiar – and that would not necessarily be the name that Jesus was executed under. Furthermore, simply referring to “Jesus” would not explain how it is that Jesus’ followers were named Christians; Van Voorst [VanV.JONT, 43ff] further makes the point that Tacitus is actually issuing a subtle corrective here! The text of the oldest manuscript, and most likely reading, spells “Christians” with an e (“Chrestians”). Tacitus refers to a “great multitude” of Christians at Rome. Isn’t it the case that not many Christians would have actually been there? This is rather an empty objection that merely assumes what it sets out to prove! Even so, what does Tacitus mean here by a “great multitude”? 50? 100? 500? Is it a relative term for, “a great multitude, in respect to the crime committed”? Example: if we arrested 50 people for holding up a corner gas station, does that seem like a “great multitude” to arrest for such a relatively minor crime? There is simply no force behind this objection, for it lacks specificity. Were there exceptions to the reliability of Tacitus? “When reporting Augustus’s trip to be reconciled with his exiled grandson Agrippa, he alludes to a rumor that the emperor was killed by his wife, Livia, to prevent Agrippa’s reinstatement…all the components of such a tale foreshadow the murder of Claudius by his wife Agrippina to allow her son Nero to succeed before the emperor reverted to his own son Brittanicus. I have already noted that Tacitus’ scruples and concern for accuracy were such that he always indicated when he reported rumors as such, and the Livia/Agrippa story is no exception. The story in question, from the first book of the Annals, is clearly reported by Tacitus as a rumor. He was consistent in discerning rumor from fact–as I noted from a Tacitean scholar, he did this with the sort of scruples rare in an ancient historian. Mellor says that this is “good literature but it can be irresponsible history.” This is correct…and it actually becomes irresponsible when rumor is reported as fact rather than as rumor. Tacitus didn’t take that extra step that many of his fellow writers did. And the evidence indicates that he always made sure he reported rumor as rumor. There is no indication, as I have noted, of such qualification in the Christus cite. Beyond this, it may be noted that since nearly everything Tacitus reports has a moral context, applying this criteria would mean having to ashcan almost all of Tacitus’ work. Also, professionalism and integrity were Tacitus’ most compelling motives for doing accurate history. He wrote his work for reading by his political peers — is it to be supposed that he would not take care to be accurate, in an era when prestige and honor were of utmost importance to those in power? So we are to assume based on non-evidence that Tacitus could be reporting rumors (or in this context, unconfirmed data would be a better term), even when he doesn’t say he is, even when he is clearly in the habit of doing so? I am working within evidence here; this objection, in contrast, promulgates speculation without evidence for the sake of preserving a tenuous position. A skeptic may say: “Maybe this time Tacitus broke his promise not to be careful; after all, the reference to Jesus is only incidental. And according to Ronald Martin (Tacitus, 1981, pp. 208-9), Tacitus claims that it is “my intention to follow my sources where they are unanimous but where they have given different reports I will record them under their names” (Ann. 13.20) yet he often breaks even this promise. I fail to see how the “incidental nature” of the reference has any relation to identification as rumor. Is there a proven pattern that the length of a reference by Tacitus directly corresponds to his proclivity to report (or not) whether something is a rumor? Beyond that, Annals 13.20 contains a story of Nero which Tacitus reports using several different (and differing) sources, including Seneca, Fabius Rusticus, and Pliny. Because these sources often disagree, he tells us that it is his intention (he does not “promise” anything) to record variations in reports, and as we know, intentions often go awry when dealing with a complexity of sources. Since a good deal of his source material is lost to us, it is debatable whether, and to what extent, Tacitus fulfilled his intentions. However, this quote refers only to one story in which Tacitus had multiple and conflicting sources and is therefore irrelevant to any other part of Tacitus’ work, including Annals 15.44. Neither Tacitus nor any ancient historian felt obliged to reveal sources; that is not the point. I have shown that Tacitus was not so uncritical as to simply accept things blindly. If such a report fooled Tacitus, it fooled everyone — in other words, we will have to posit a carefully-crafted conspiracy full of manufactured literary, testimonial, and other historical evidence. It boils down to this: Indications are that Tacitus always did differ rumor from reliable report — I want to see an exception, and then I want to see that it is a consistent problem. And, since Tacitus’ care and accuracy are the recognized pattern, it is the burden of the dissenter to prove that Annals 15.44 is an exception to his pattern, practice and manner of reporting history. 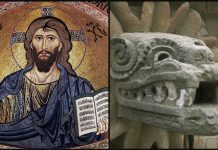 Most likely, I’d say, Tacitus did assume that Jesus existed; but he also did investigation into some of Jesus’ history (his death in Palestine, and the Christian movement) that would have revealed, in the course of his investigation, any problems with the evidence that may have suggested Jesus did not exist. Let’s draw a parallel using Mohammed. An investigator might begin by wondering how Mohammed managed to be so influential. He might want to look into how Mohammed led his forces. But to do so, there must be records and proof that Mohammed did these things, and if he didn’t exist, then such records and proofs will be notably absent, or at the least fishy and contrived. They would be full of statements saying what Mohammed did and when. If a Muslim claimed that Mohammed led a battle and made all of its tactical planning, and all records, even Muslim ones, of the battle either do not mention him, or attribute his work to others, then we start wondering what’s up — as Tacitus would have. Thus in the process of investigating, one would uncover evidence leading to indications of non-existence. Again: If there had been no historical Jesus, there would have been — without a doubt — a “ripple” effect of accusation and argument centered on this subject. Had such a ripple effect existed, it would not have gone away quietly and without notice, especially not in a collectivist society; and one with the care and concern of Tacitus for accuracy would have noticed it. And if he had missed this effect, it would have been a strike against him, and made him a laughingstock before his peers (in an age, again, when honor and shame were the primary motivators); and someone who does such careless things once is enormously likely to do it again, and make more mistakes. It is true, yes, that Tacitus was not interested in reporting details about Christianity, but this has no relation to his capabilities and professionalism otherwise. This is confusing the characteristics of quality and quantity. He regards “Christus” as the founder of the movement. 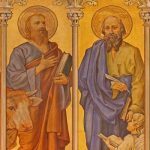 This militates against ideas that Paul or some other person was the ideological head of Christianity. He confirms the execution of Jesus under Pilate, during the reign of Tiberius. 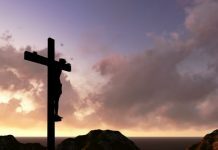 He indicates that Jesus’ death “checked” Christianity for a time. This would hint at the probability that Christianity was recognized to have had some status as a movement (albeit not under the name “Christianity”) prior to the death of Jesus. 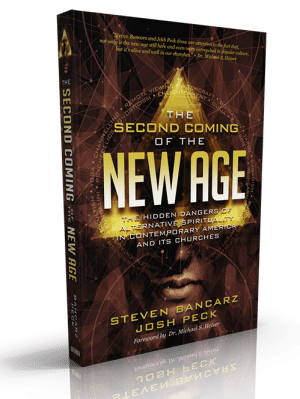 He identifies Judaea as the “source” of the movement. This militates against ideas that Christianity was designed piecemeal from pagan religious ideas. He indicates that Christians in Rome in the mid-60s A.D. were dying for their faith. 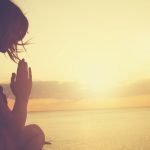 This article was originally published on Tekton Apologetics and was republished with permission from the author.